Universal Pictures’ has debuted the new Jurassic World: Fallen Kingdom IMAX poster for the upcoming sequel. 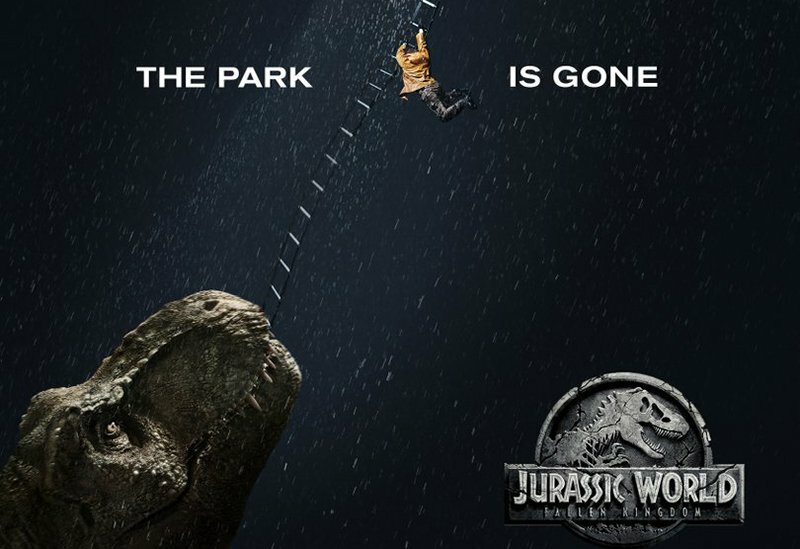 In the poster, a T-Rex plays tug-of-war with a helicopter as a man dangles precariously between them in the rain. Check out the poster in the gallery below! 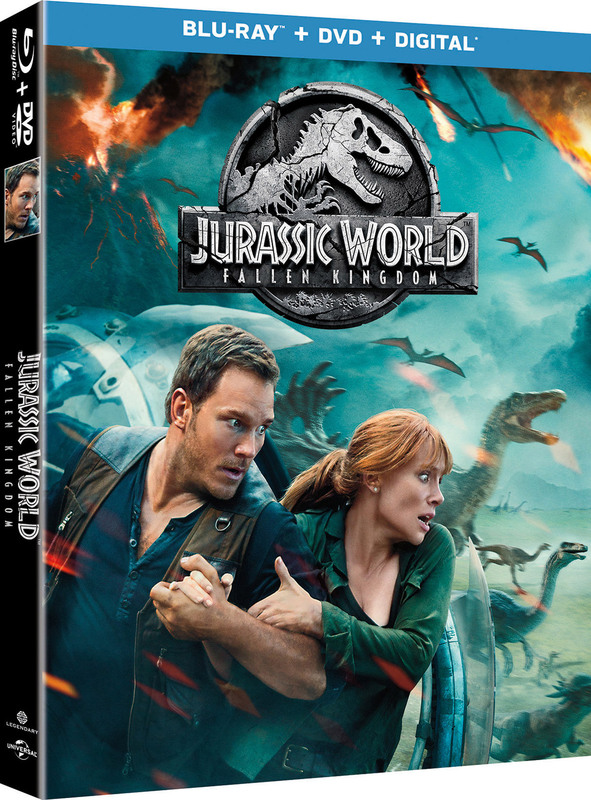 Fallen Kingdom follows Pratt and Howard’s characters as they return to Isla Nublar to try and rescue the dinosaurs roaming the island from an impending volcanic eruption, including Blue, the last of the raptors he trained. While there, they learn of a conspiracy that could assist the dinosaurs in ruling the Earth once again.